You'll go bananas with waiting hours for CPU to convert videos from one format to another, especially videos in 4K Ultra HD. Congratulations if you are using AMD GPU that has a built-in video converter named ATI Avivo Video Converter. The embedded video converter supports GPU acceleration, which makes full potential of GPU and speeds up video performance on AMD based computer. Here's a complete guide for you to learn how to get started. Before you go, note that the AMD video transcoder with GPU acceleration only supports X1000 series hardware, including ATI Radeon X1300/X1600/X1800/X1900 Series and AMD Radeon™ HD 2xxx Series and higher. In addition, some modern codec formats like HEVC, VP9 are not compatible. Thus, we also share a popular AMD video converter alternative with AMD GPU acceleration for 2019 that is much better than the freeware. ATI Avivo Video Converter can be found quickly for some users. 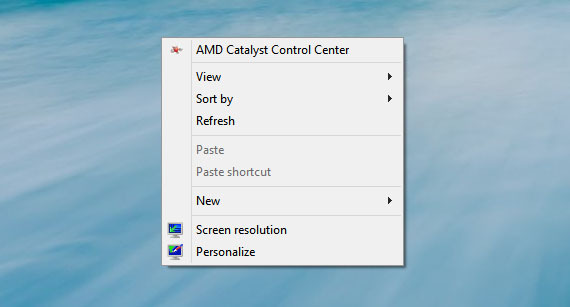 Right-click on the desktop and select AMD Catalyst Control Center at the top. On the left pane, click Video and select AMD Video Converter from the drop-down menu. You should see Start Video Converter button on the right side now. What to do if AMD Video Converter is missing? 1. Go to AMD official site to download AMD Media Codec Package (for Windows 8/Windows 10) or ATI Avivo Codec Package 10.12 or Windows 7 or earlier. The codec package contains AMD video transcoder and codecs for GPU accelerated video transcoding and the package is no longer offered by AMD. 2. Follow on-screen instrument and install the codec, then restart PC. 1. 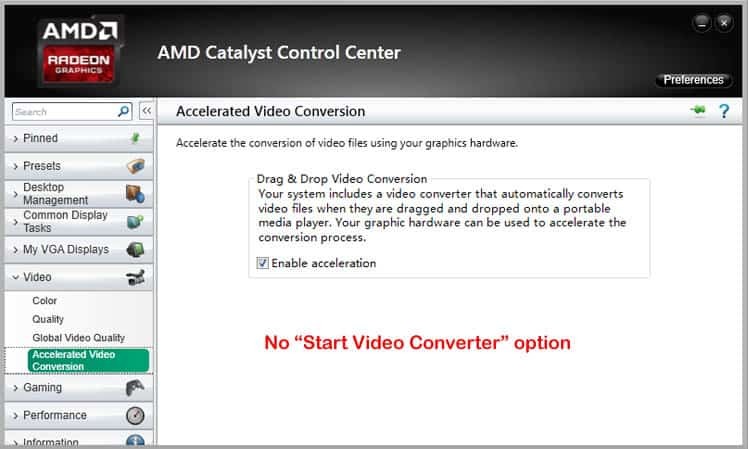 Click Start Video Converter under the Video menu on the AMD VISION Engine Control Center, and a window will display. 2. Click Select Source and select a video to process. Then click Browse to change the default output folder, and click Next. Batch processing is not supported by the video converter freeware powered by AMD. Tips - ATI Avivo Video Converter supported formats: H.264, VC-1, WMV9, WMV9 PMC, MPEG-2, MPEG-4, DivX, and some iPod and PSP formats. 3. Click the drop-down icon under Output Video format section and select a format you prefer. You can also adjust the output quality. The input file and output file info is shown below the Output Quality section, which consists of file size and bitrate. 4. Click Next to begin the AMD hardware based video conversion process. The AMD built-in video converter is not a professional tool for video transcoding. Supported format is very limited, many users are crying that input files are not recognized, MKV doesn't work, HEVC get stuttered, etc. You may need a better and faster GPU accelerated video converter that provides AMD acceleration. Continue to read if you are looking for such replacement. 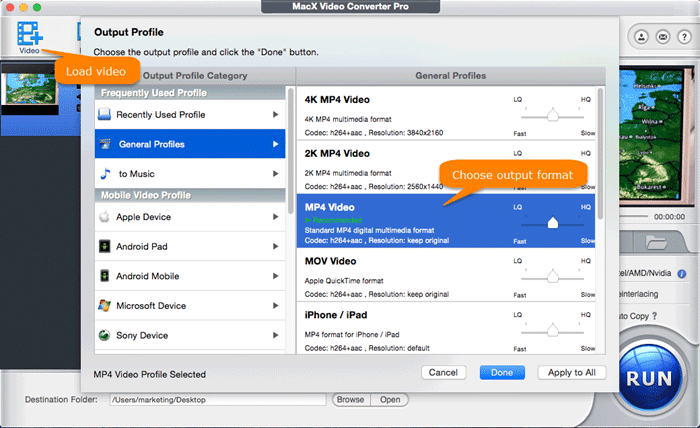 The alternative to AMD built-in free video converter we recommend here is MacX Video Converter Pro, which is mainstream GPU accelerated video processing software. Integrated with AMD technologies, the alternative can batch process videos, including 4K UHD/8K videos stably and efficiently, with at least 5X faster speed than AMD free video converter 2019 with less CPU usage and make full use of GPU. Requiring no extra codec package, it supports 370+ video audio codecs, covering modern HEVC/VP9 codec, and commonly used H.264, MPEG-4, and more. Users are allowed to transcode HEVC to H.264, MKV to MP4, WMV to MOV, MP4 to MP3, to name a few. The alternative is very easy to handle. You don't need to spend much time studying user guide or installing extra codec pack required by AMD video transcoding freeware. Follow the guide below to learn how to use it. To take full advantage of AMD hardware acceleration, you'd better update to the latest AMD driver, and your graphics card and GPU support AMD accelerated video transcoding. Note: The AMD hardware accelerated video processing tool fully supports AMD Radeon™ and AMD FirePro™ series. Only AMD Radeon 400 series and 500 series with UVD 6.3 provide support for 8-bits color HEVC/H.265 4K hardware decoding, and 10bit-color HDR VP9 video codec. Step 1: Download and run the video processing program with support for AMD GPU acceleration. Step 2: Click Add Video icon at the top and select videos from the window to load. Users are able to process videos in batch. Step 3: Select an output format on the popping up Output Profile window, and click Done if settled. Step 4: Make sure "Intel/AMD/Nvidia" is checked. Then click RUN button and the alternative to AMD accelerated video transcoding freeware will start to process videos quickly. How faster is CUDA GPU accelerated video converter? Here's a test of CUDA and NVENC GPU acceleration performance. Here's everything you should know about Intel QSV. Does handbrake really provide hardware acceleration transcoding?